Can you match all the bugs? Test your memory skills! 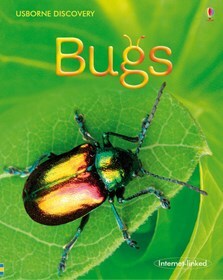 Discover what bugs look like close up and read vivid descriptions of how they live, move and eat. Full of amazing facts about bugs, from how they hunt and defend themselves to how they develop from eggs to adults. With Internet links to websites with live webcams of insect colonies, and insect games, activities and information. Illustrated with stunning photographs of insects eating, crawling, flying and building their nests. Did you know that for every person alive there are several million insects? Scientists know of over a million different species. Discover more about the incredible world of creepy-crawlies: their camouflage, life-cycles, habitats and communities in this fascinating Internet-linked book. Discover what bugs look like close up and read vivid descriptions of they live, move and eat. This book is full of amazing facts about bugs, from how they hunt and defend themselves to how they develop from eggs to adults. It has internet links to websites with live webcams of insect colonies, and insect games, activities and information and is illustrated with stunning photographs of insects eating, crawling, flying and building their nests.